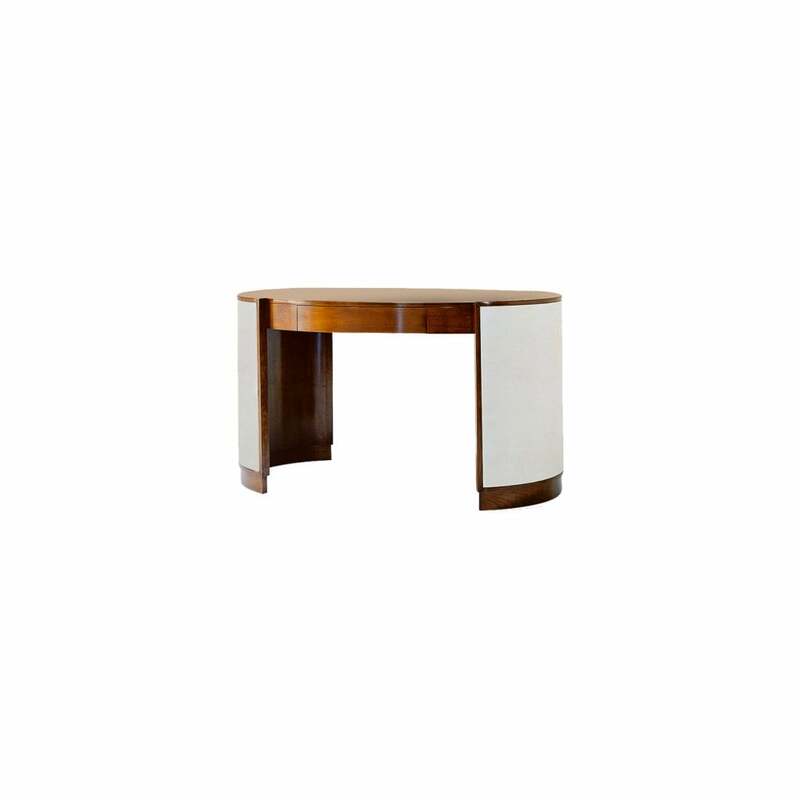 The Victor Desk, with strong echoes of the Art Deco era in it's design, is the epitome of style and elegance. The beautiful shaping of this desk is first to catch your attention, with a unique oval table top and stunning curved base supports, creating a perfect union of design and high-quality materials. The ultra smooth, warm cherry veneer is eye-catching with it's unique four piece match table top, complimented perfectly by the leather side sections. This use of beautiful contrasting natural materials draws the eye to the pure style and sophistication of this piece, putting the Victor Desk into a class all of it's own.